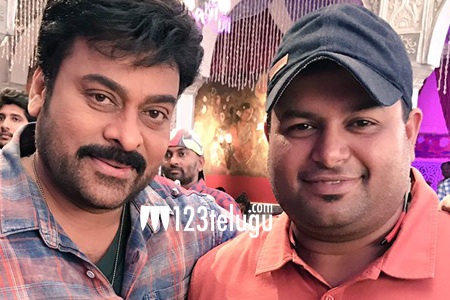 Thaman in Chiranjeevi’s next film? Megastar Chiranjeevi is gearing up for the release of his 150th movie. While the film is under production, Chiranjeevi’s team is already on the verge of finalising his next few projects and according to reliable updates, Thaman may be the music director for this. Thaman met Chiranjeevi on the sets of Khaidi No 150 and while the music director has not spoken about any projects, Industry is abuzz with the news about this. The movie is expected to be with Boyapati Sreenu. Meanwhile, Thaman is currently busy with Gopichand Malineni’s project.